The Taliban have appointed a co-founder of the movement as the new head of their political office in Doha, where talks have been held since Monday with US officials seeking to end 17 years of conflict in Afghanistan. “The esteemed Mullah Abdul Ghani Baradar has been appointed… chief of the political office,” Taliban spokesman Zabihullah Mujahid said in a statement released late Thursday. “This step has been taken to strengthen and properly handle the ongoing negotiations process with the United States,” he added. The announcement comes as the insurgents said Thursday they had held four straight days of talks with US officials in Doha. It was not immediately clear if the negotiations were ongoing Friday. The duration of the talks, described as “unprecedented” by analysts, has raised hopes of an imminent agreement that could pave the way to peace negotiations. But Washington, which confirmed on Tuesday that talks were being held in Qatar between its envoy for Afghanistan Zalmay Khalilzad and representatives of the Taliban, has made no comment since. Afghan officials, who have complained previously about being cut out of the talks, also warned that any agreement would need their endorsement. The Taliban have been maintaining the upper hand in the conflict, with Afghan forces taking what experts have described as “unsustainable” casualties. President Ashraf Ghani, speaking at the World Economic Forum in Davos on Thursday, said 45,000 security forces have been killed since he took office in September 2014. NATO combat forces pulled out at the end of that year. “Since I’ve become president … over 45,000 Afghan security personnel have paid the ultimate sacrifice. The number of international casualties is less than 72,” he said. The figure — which represents more than 28 Afghan security forces killed per day — is far higher than anything previously acknowledged. Last November Ghani said that 28,529 security forces had been killed since the start of 2015, or more than 20 every day. The rate at which Afghan forces are dying has long underscored the fragility of the country’s security situation and the Taliban’s continued strength, and raised questions about US claims that the Afghan troops are becoming an increasingly effective fighting force. It is from this position of apparent strength that Baradar and the insurgent representatives are set to negotiate with US officials as part of a flurry of diplomatic efforts in recent months to find a way out of the conflict. Formerly a number two of the Islamist group, Baradar helped Mullah Omar, who died in 2013, to found the Taliban movement. Arrested in Pakistan in 2010 in an operation then considered to have dealt a fatal blow to the movement, he was released last October after a first meeting in Doha — never confirmed by the United States — between the Taliban and Khalilzad. 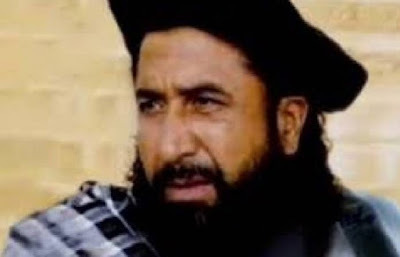 Baradar was described as a “heavyweight” by Kabul-based military analyst Ateequllah Amarkhail, who noted that he also has influence over Mullah Muhammad Rasool, the leader of a Taliban breakaway faction. “The appointment of Baradar could unify the Taliban movement,” Amarkhail told AFP. In addition to the appointment of Baradar, “multiple changes have also taken place in the military and civilian departments”, the Taliban said in their statement. On Friday the Afghan defence ministry said it was investigating claims that at least 16 civilians, including women and children, had been killed by an air strike late Wednesday in southern Helmand province. Afghan forces backed by US air power were conducting counter-terrorism operations in Sangin district late Wednesday when the air strike was carried out, the ministry and NATO said.